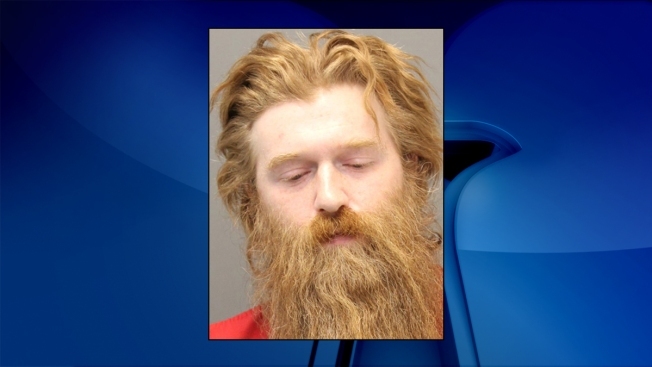 A Sterling, Virginia, man arrested last week in an alleged murder-for-hire plot targeting his ex-wife was denied bond Thursday after a dramatic hearing that focused on links to the KKK and dangerous weapons kept in his home. Prosecutors told the judge that Dallas Brumback, Jr., 35, was once an "exalted cyclops" in the KKK, an association that News4 first reported. And they described a Sterling household where guns, including an assault rifle, were within reach of three young kids. 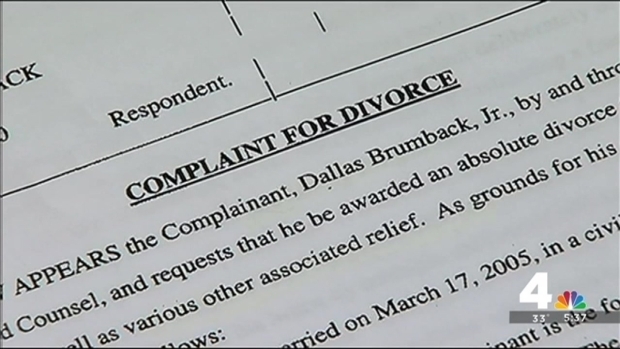 Brumback is accused of hiring a hit man to kill his ex-wife, Lindsay Brumback. The two have a 9-year-old daughter and relatives say there has been an ongoing custody battle ever since the couple divorced in 2006. On the witness stand, Lindsay Brumback urged the judge to keep her ex behind bars. "I would prefer he feel as trapped as I did for the last 10 years," she said. Northern Virginia bureau chief Julie Carey reports on the past activities of Dallas Brumback, a Sterling man accused of murder-for-hire against his wife. Brumback was arrested last Thursday and charged with attempted capital murder for offering another man $2,500 up front and $2500 after the crime to kill his ex-wife. His defense attorney called his current wife, Kimberly, to the witness stand to try to make the case that Brumback has strong community ties and wouldn't flee if allowed to post bond. His wife said she and her husband homeschool their three children. "He's not going to leave his babies," said Kimberly Brumback. UpdatedBystanders Rescue 2 From Burning Home in Md. She also says her husband has a life-threatening blood disorder that will be difficult to treat at the jail. But prosecutors immediately confronted Kimberly Brumback with Klu Klux Klan certificates seized from their Sterling home, showing both were members.There also were hats and a shirt with KKK emblems, as well as a U.S. map divided into Klan regions. "Isn't it true your husband is a member of the KKK?" asked prosecutor Gigi Lawless. 6-Year-Old Snowboarder Struck by Car in Va.
"No ma'am, he is not," replied Kimberly Brumback. She said the Klan group they had been affiliated with was now defunct. Lawless produced a series of photos showing the items seized last week during a raid of the Brumback home, including several guns in rooms where the children play and a crossbow left just feet away from a child's rocking horse. "They (the kids) couldn't pull that crossbow," Kimberly Brumback said. Prosecutors also revealed new details about the alleged murder-for-hire plot. Lawless says Brumback met with the alleged hitman three times to make payments toward the first $2,500 installment. They say Brumback provided instructions about how to make sure the gun wouldn't be traced. And he had precise suggestions about how to dispose of the body: freeze it, saw it into six pieces and use muriatic acid to later dissolve it. Brumback allegedly made sure the would-be killer knew where his ex-wife's home was located. Lawless says when the man asked what do do if there were others there, Brumback reportedly answered "I don't care, erase them all." He did tell the man to spare his daughter. Lindsay Brumback has three other children with boyfriend Jeffrey Marsh. He says he wasn't surprised to hear the details offered in court. "It's disturbing to hear, but not anything I wouldn't expect coming out of his mouth," said Marsh. Prosecutors also recounted a another conversation between Brumback and the unidentified man in which Brumback said he didn't pursue a job as a pastor at a church because there were African Americans in the congregation. "We need to purge them all," Brumback reportedly said. Judge Avelina Jacob concluded the hearing by denying bond. "I think he is a threat to the community and a threat to Ms. Brumback and her family," the judge said. The decision brought instant relief to Lindsay Brumback's family. "It's the best decision ever because now we can at least have some peace our household," said Marsh. "We don't have to worry about who is there lurking around the corner, has that car been parked across the street for more than 2 days, do we things of that nature. It's a big relief."